If there is an error on your credit report, it can have a negative effect on your financial future. This is why it is essential to check for credit inaccuracies and have them fixed. If you see an error on your credit report, it could be due to a creditor or a credit reporting agency failing to update your information. You can begin a credit dispute with the credit reporting agency, which can either correct the mistake or investigate it further. It is a wise idea to work with a credit lawyer in Fairfax during this process, as it can be time-consuming and complicated. In some cases, you may end up having to file a lawsuit in order to get your credit report fixed. Check out this infographic from the credit lawyers at Blankingship & Christiano to learn more about getting your credit report updated. Please share with your friends and family. If you are the victim of identity theft, the road back to restoring your credit can be long and frustrating. If the worst does happen to you, an identity theft attorney in Washington DC can make the process of filing a credit report dispute and restoring your reputation easier. However, you can also take steps to prevent theft before it occurs. Make this year the time you get serious about protecting your credit with these steps. associate with you. Avoid using security questions that others could easily answer, and create a unique password for each one of your accounts so that other accounts are protected if one is compromised. Paper statements from financial companies can make it easy for identity thieves to steal your information. By simply picking up your mail or looking through your discarded paper, someone could gather information about you that lets him or her steal your identity. 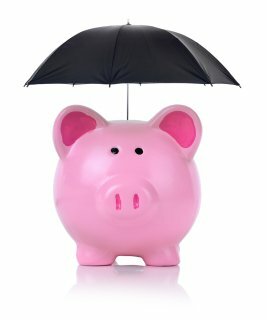 You can have more protection by utilizing online services for financial transactions. If you must use paper statements, find out when they are usually mailed so you know when to expect them. Also, be sure to use a paper shredder before discarding any financial records. Identity theft can occur without you noticing any changes until you apply for credit. Prevent this surprise from happening to you by checking your credit report often. If you do notice discrepancies, contact an identity theft lawyer. An identity theft lawyer can help you navigate the process of disputing false information and correcting damage that has been done to your credit. Being a victim of identity theft can be terrifying and devastating, especially because you may not even realize you have been targeted until damage has already been done. If you believe you may have been the victim of identity theft , it is essential to contact a credit lawyer in Ashburn. If your credit has been damaged by identity theft, you may need to begin the credit dispute process. Keep reading to learn about three common types of identity theft for which you should be on the lookout. It may seem surprising, but children are often targeted for identity theft because of the delay that is associated with catching the theft and because their information can be easily obtained from schools or relatives. Schools often require personal information from students, and a child’s Social Security number can make it easy for an identity thief to do everything from opening a new credit card to applying for a car loan. Adults should look out for obvious signs, such as mail from the IRS claiming that the child did not pay income taxes, and less obvious signs, such as struggling to obtain a loan when the child grows up. Medical identify theft is another situation in which paperwork is certainly part of the problem. Unfortunately, thieves target healthcare companies because they believe they may be an easy source for personal information. It is essential that patients review the data privacy statement provided by their health care professional, file a credit report dispute if there is an issue, and contact a credit lawyer. Everyone files taxes in the same time frame each year, which makes it an ideal time for criminals to target individuals for identity theft and defraud the Internal Revenue Service. 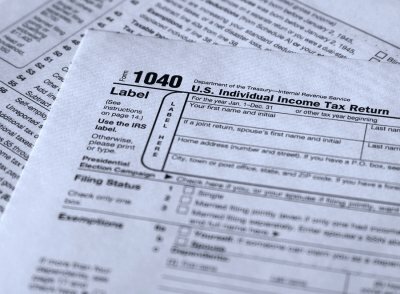 One simple way to avoid identity theft is to file your taxes early. If you are worried that your identity has been stolen after you have filed your taxes, get in touch with an identity theft attorney right away. Identity theft is a serious crime that is broadly defined as the fraudulent use of another individual’s personal information, typically for financial gain. Many different types of personal information may be stolen and used for fraudulent purposes, such as an individual’s Social Security number, credit card number, and bank account number. Anyone can become a victim of identity theft—and millions do, each year. You can protect yourself by becoming aware of the types of identity theft and how they may be committed. If you suspect that someone may have stolen your personal information, you can visit a consumer protection law firm near Leesburg to consult an identity theft lawyer about your rights and options under consumer law. Identity theft is a crime under multiple laws. As your identity theft lawyer can explain to you, it is a federal crime to transfer or use the identification of another individual without lawful authority and with the intent to commit any unlawful activity. This offense is detailed in the Identity Theft and Assumption Deterrence Act of 1998. It applies to any unlawful activity that violates federal law or that is considered to be a felony under local or state laws. Congress took an even more aggressive approach toward dealing with identity thieves with the passage of the Identity Theft Penalty Enhancement Act of 2004, which requires extended sentences for offenders under certain circumstances. There are many different ways in which a criminal can commit identity theft. They range from the physical theft of a person’s wallet to sophisticated computer crimes. An identity thief may steal discarded mail that contains sensitive information. He or she could even steal personal information by using discarded junk mail, such as credit card offers. This is why your identity theft attorney may recommend that you invest in a document shredder. Credit card thieves frequently try to obtain personal information through phishing, which is the practice of sending an email to a victim that requests sensitive information. The email may appear to be from an official entity, such as the individual’s bank. When in doubt, it is best to avoid clicking on links contained within emails. Your credit reports from TransUnion, Experian, and Equifax play an important role in determining whether you can obtain a mortgage, other loan, or credit card account. If identity theft causes your credit score to unfairly plummet, you probably know that calling a credit report lawyer in Reston is essential to restoring your financial wellbeing. However, some consumers never truly learn about credit reports until their scores have been adversely affected. Before you buy a car or invest in real estate, it is essential to understand your credit report. Contact your credit report attorney and read this guide to better understand how to read your credit report—and what lenders can learn from your credit score. 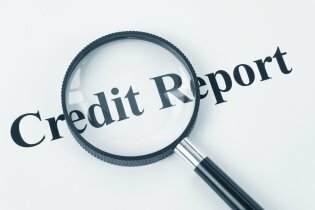 It’s important to review your credit reports regularly. If you notice any abnormalities, you can contact an identity theft lawyer in Leesburg for help with a credit report dispute. When reviewing your credit reports, you’ll notice that they have multiple sections for your personal information, account details, inquiries by creditors, and public information such as court judgments and liens. Your credit score tells lenders how good you are about repaying debt. When it comes to credit reports and your credit score, there are three companies you need to know: Equifax, Experian, and TransUnion. These three agencies compile the reports that determine your credit score. For example, each credit agency will have access to your name, Social Security number, the names of people who request your credit report, and comprehensive information about your finances. Your credit score is compiled based on several kinds of information. First, your payment history makes up 35% of your score. If you pay bills late, your score will decrease. Your debt-to-credit ratio makes up 30% of your score. Your credit history comprises 15% of your score, and it shows how you have managed your finances in the past. New credit accounts, or inquiries from companies where you have applied for credit, make up 10% of your credit score. Finally, diversity of credit, or how many different kinds of credit you have, is responsible for 10% of your score. The best way to understand your credit report is to keep tabs on your credit reports and numbers. Experts recommend checking with each of the three central agencies named above once per year to make sure that there are no inaccuracies in your report and that your credit score reflects your true financial history. If you do find a credit report error, contact a credit lawyer to begin the credit report dispute process. You can hear more tips for understanding your credit report by watching this video or consulting a credit lawyer. This expert explains how you can include a consumer statement in your credit report, which will provide additional information to anyone who views the report. For example, you might wish to convey that you had to retain the services of an identity theft lawyer. Identity theft occurs when someone gains access to your Social Security number and uses that information to pretend they are you. Identity thieves may open new credit cards, obtain loans, and even get a driver’s license—all in your name. If you are worried about identity theft, contact an identity theft lawyer in Ashburn and watch the following video clip. Many consumers do not realize that their identity has been stolen and take action by contacting an identity theft attorney until months after the fact. During that time, an identity thief can inflict untold damage, racking up thousands of dollars in debt or even earning a criminal record. This can destroy a person’s credit, leading to the need for credit disputes, and affect the victim’s personal and professional lives. Today, many services help consumers proactively protect themselves against this type of fraud. If your identity is stolen, an experienced consumer protection law firm can help indemnify you, restoring your reputation and good credit. In a world where more and more financial transactions are conducted online, identity theft is an ever-present danger. If you are like most Americans, you may not fully understand how identity theft works—or how it can throw your life off track. However, if someone manages to steal your identity, an identity theft attorney near Ashburn can help you repair your credit and restore order to your everyday life. Continue reading for a look at why identity theft can be so dangerous. One of the major reasons identity theft is so dangerous is that a consumer’s identity can now be stolen in more and more ways. 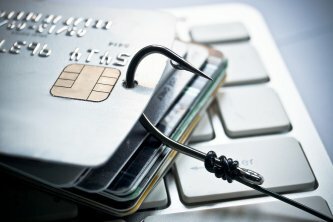 While the most prevalent form of credit-destroying identity theft was once simply stealing personal financial information out of consumers’ mailboxes, thieves are now adept at gaining access to credit card information through ATM skimming and computer hacking. Your credit report lawyer can help you identify ways that your identity is at risk. Taking over someone’s identity can involve more than just accessing his or her finances. Medical identity theft allows a criminal to access your health insurance and obtain prescriptions in your name—and for ailments you may or may not have. Unfortunately, competing prescriptions may not be filled by pharmacists, meaning that it may be impossible for you to obtain medication you actually need. This is why it is essential to contact an identity theft attorney if you suspect that your personal information is being used by another person. Identity theft can leave exhausted consumers waging too many battles at once. For example, one victim of identity theft discovered that her identity had been stolen by an illegal immigrant, who used her personal identifying information to unlawfully gain employment. The victim and her attorney had to begin fraud claims with both the IRS and the Social Security Administration. Moreover, the thief also obtained a driver’s license—and earned two DUIs. The victim then had to contend with a criminal record and numerous traffic tickets. Your identity theft lawyer can help you contend with these types of issues. Becoming an identity theft victim is more than a nuisance; it can result in thousands of dollars in debt accrued under your name, a scarred credit history, and future mortgage loan denials. For this reason, you should immediately contact an identity theft attorney in Leesburg about reporting the incident to the proper institutions and securing your accounts. 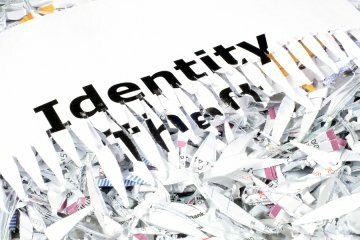 One way to avoid becoming a victim of identity theft is by learning how to recognize the most common techniques used in identity theft schemes. Mail theft is a non-technological identity theft technique, as it merely involves a thief removing sensitive information from your mailbox. Through mail theft, someone else can obtain information about you from credit card bills, bank statements and other personal materials that can be used to assume your identity. Sometimes, a thief can even re-route your mail without your knowledge by simply asking for a change of address from the post office. If this happens, you might not even discover you are a victim until you eventually encounter a credit report dispute. As an identity theft lawyer, credit card fraud is actually an element in identity fraud crimes. Thieves can actually use the information on your credit card to perpetrate other identity theft crimes. For example, a thief can use your signature on the back of the card, loan your card to others, or open up new cards and bank accounts in your name. A credit attorney can advise you on how to secure your card, such as signing the back and writing CID to require merchants to ask for other forms of identification. 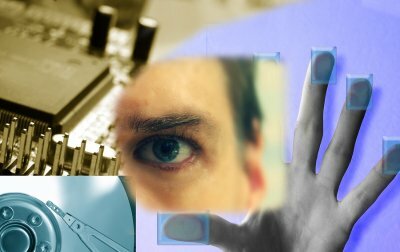 As technology evolves, identity thieves have found new ways to target your personal information. For example, a thief can use a device to read your credit card information from the magnetic strip on the back. This means a thief can obtain your credit card number without even touching the card itself. If you suspect your credit card number is stolen, contact your bank and an identity theft lawyer to avoid any unauthorized purchases or bank accounts opened in your name from harming your credit file. If you believe your personal information has been compromised, you can find the help you need from an identity theft attorney in Leesburg. However, it’s certainly preferable to prevent identity theft from occurring at all. Be your own consumer advocate by refusing to share personal information online. Use strong passwords, such as those containing a combination of numbers, symbols, and letters in both uppercase and lowercase. Avoid using the same password for multiple websites, such as for your email account and your bank account. You can hear more about preventing identity theft by watching th/practice-areas/identity-theft/tips-to-protect-yourself/is video. You’ll learn why replying to spam emails, even to unsubscribe from them, can lead to a consultation with a credit lawyer. Additionally, fraud lawyers strongly recommend that consumers be cautious regarding websites that offer prizes in exchange for submitting your personal information.